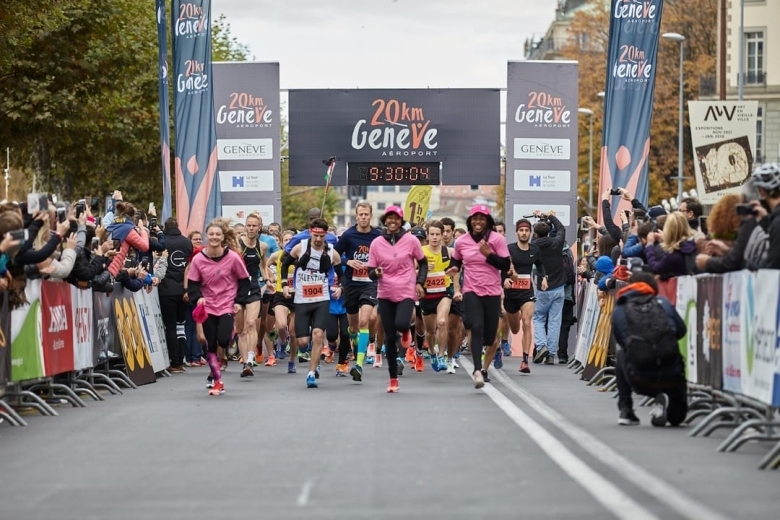 Uniting on the Quai du Mont-Blanc this morning, more than 2200 runners took part as an individual or as a team in the second edition of the Geneva 20km by Genève Aéroport. After running on the shores of Lake Geneva, participants had the privilege to cross through the United Nations grounds, opened especially for the event! A prestigious moment to discover the international district of Geneva. The course on the right hand side of the lake then passed through the countryside peppered with its many colours of early-Autumn before heading back to Geneva. Runners finished their race along the lake opposite the Jet d’Eau. Eyoab Habtesilasse from Ethiopia, winner of this second edition, crossed the finish line in 1:00:42, breaking the previous record by 3 minutes and 41 seconds. Régis Antoine from France and Ben Parkes from the UK completed the podium. In the women’s race, Hayen Hailu from Ethiopia took home the victory in front of fellow runner Israel Silass Geletu and Aline Camboulives from France. She also established a new event record by over 8 minutes. For those who wanted to share the 20km distance, the Duo and Trio formats were on offer. A fun and friendly way to share the distance and take on a challenge together. Meeting their children near the finish line, Claudio and Annelise Minetto decided to run the Duo format as a couple for the second consecutive year. “I made my husband happy as he wanted us to run together. The race went well”, expressed Annelise. “On behalf of the entire organising committee I also want to thank the local authorities and staff from the Canton and City of Geneva for their unwavering support, the UN for their warm welcome, as well as each of the communes traversed during the race (Pregny-Chambesy, Grand Saconnex, Bellevue and Genthod) for their support in organising this second edition,” he added. “Obviously a huge thank you also goes to Genève Aéroport and all our other partners for helping us further establish this event. Finally, we must not forget the 300 precious volunteers mobilised across the weekend without whom this event would not be possible”. 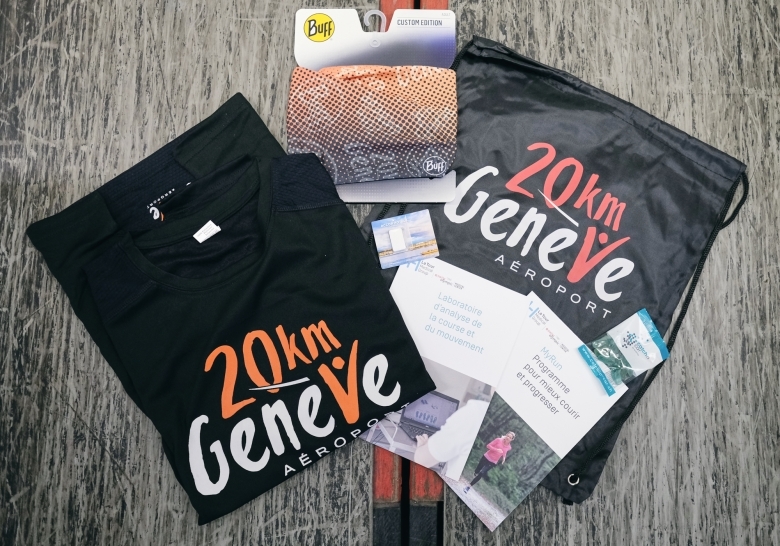 Having now achieved its cruising altitude and speed, the third edition of the Geneva 20km by Genève Aéroport will be back in 2019. Information and registration will be available soon at 20kmgeneveaeroport.ch/en.